At the beginning of March Tinder launched its premium Plus service and to the shock of some older users, the dating app was charging them almost the double the amount of users under 30-years-old or younger. 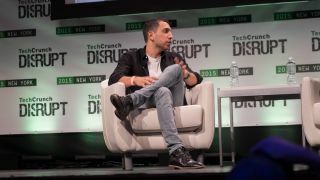 At day two of TechCrunch Disrupt in New York City, Tinder Founder and CEO Sean Rad explained the tiered pricing was intended to "provide a discount for younger users." First introduced on March 2, Tinder Plus launched in the Untied Kingdom and United States bringing an ad-free experience for those who paid. Tinder Plus also introduced premium features such as undoing your last swipe and Passport, which allows for matching with users around the world. One of the most controversial elements of Tinder Plus was its tiered pricing. For example, the premium service in the UK comes with the starting price of £3.99 a month for anyone younger than 28 years old and £14.99 monthly for everyone else. Americans, meanwhile, are charged $9.99 if they're under 30 and $19.99 for everyone 30 and over. The move was largely bemoaned by existing older users, however Rad elaborated that Tinder is still experimenting with it's premium service pricing. "Our goal is increase the age range and get more users to use Tinder Plus and what this means is offering discounts to different users," Rad said. Beyond launching a new premium service giving users super powers, Rad explained Tinder is working on improving matches. "We decided to curve your behavior with right swiping and we focused a lot on improving the quality of matching to help you understand how valuable a match is," Rad said. "What we realized is if we can get our audience to be more thoughtful in who they are liking, it would have a broader ecosystem impact." Though Tinder is widely used for hook ups and finding matches for a relationship, Rad hopes to expand the uses of the matching application. "We think more broadly about how we connect people period and there's other ways of doing so," he said. "One of the ways is to double down in what we're doing […] but in the coming year I think you might see different ways of leveraging Tinder to connect with people."